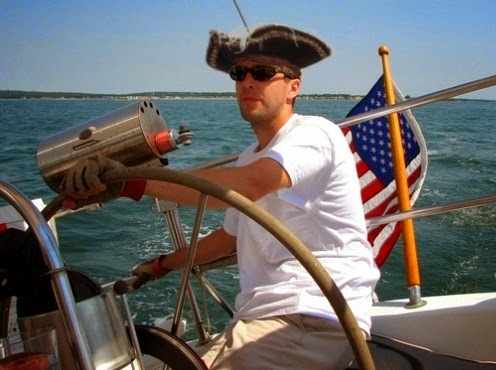 After nearly 17 years at Lazard, and 40 something years living on land... Our friend Andy Rogers has decided to leave the relative safety and predictability of terra firma and pursue his dreams sailing the high seas. Trading his train schedules for trade winds and his house for a poop deck, he's off in search of adventure. He'll be starting off but a pirate yet hoping to return a Rear Admiral. Let's wish Captain Quitter fair winds and following seas (and see if he can really drink like a sailor!) one last time.